Nowadays we live in a digital world of continuous changes in which digital platforms are more popular and new services have emerged, such as Netflix for video, or Amazon for retail purchases. Also, traditional companies such as telephony have ventured into the IoT (Internet of Things) with products of home automation, security, e-Health, among others. However, other platforms such as DTV (Digital Television) are not widely used, even when infrastructure is deployed. This infrastructure can be used in applications that take advantage of its large interface and presence in most homes, to transmit information through the television signal and receive information through the Internet. 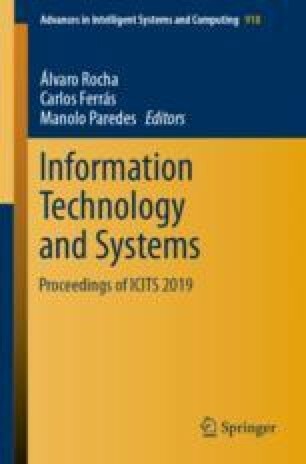 For this reason, in this paper we present a proposal based on MDE (Model-Driven Engineering) to facilitate developers the building of applications for DTV in IoT environments, using a DSL (Domain Specific Language) and a code generation engine. This work has been funded by the EU ERDF and the Spanish Ministry MINECO under the AEI Projects TIN2013-41576-R and TIN2017-83964-R.